← Inaugural NCAA Beach Volleyball Championship: Should it change your perspective? 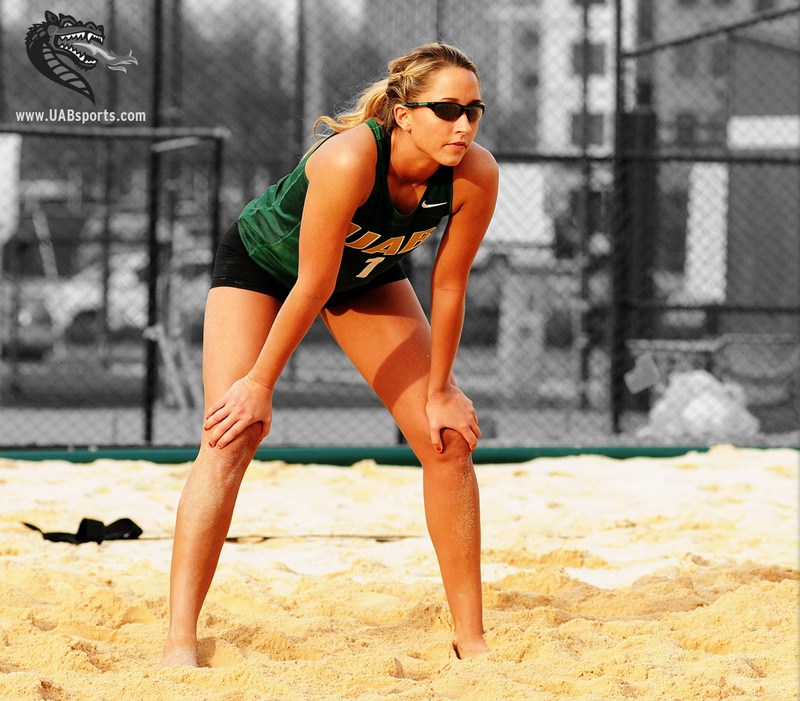 UAB Sand Volleyball coach Bailey Coleman joined Stephen McCarthy to talk about the love of the game and the benefits players receive by playing outside in the sand, as well as, her perspective on young athletes and the game of sand volleyball. Coach Coleman grew up playing volleyball on the beach in South Carolina. At that time there was no sand volleyball, so she played indoor at Georgia Southern. When the opportunity arose for her to coach outside in the sand, she was very excited about the possibilities, not only for herself, but the athletes as well. She talked about how her athletes improved in ways you would expect, passing, setting, and hitting, but with a couple additional benefits, the athletes improved their ability to think independently, they became better teammates, and shortened the amount of time they needed to get over the bad plays. For the entire interview, click here. Bailey Coleman enters her second season as an assistant coach at UAB for the indoor volleyball team and first season as head coach of the sand volleyball team. Coleman comes to Birmingham from the University of Montevallo, where she spent the pervious two seasons as an assistant coach under Katie O’Brien. While with the Falcons, she assisted in all aspects of coaching, including recruiting, travel and constructing scouting reports. For additional information, visit here.